MicroSummary: Wheat is one of the most consumed foods in the world these days. Whether it’s on your roll, that cereal, or even in your grandmother’s recipes, wheat is an essential ingredient of our cuisine. 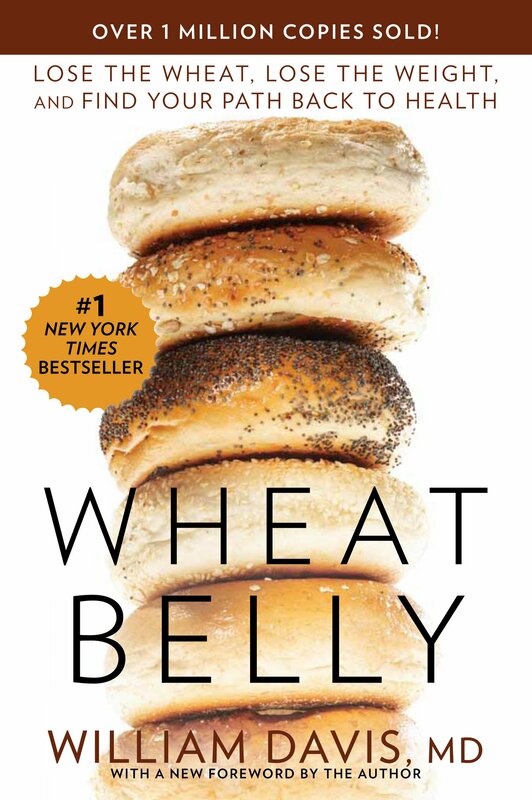 In Wheat Belly, William Davis argues that because of this omnipresence of wheat, many people have faced various health problems, including rising obesity rates. Wheat has long been considered a healthy food, but it has been found to be extremely harmful to health, including whole wheat. Our summary explains and teaches you how to reduce your wheat intake to improve your health and lose weight. The arguments are based on careful research, which justifies the reduction of wheat consumption and teaches you to make healthy choices to improve your health and longevity. Learn to eat the right way and stop eating wheat! 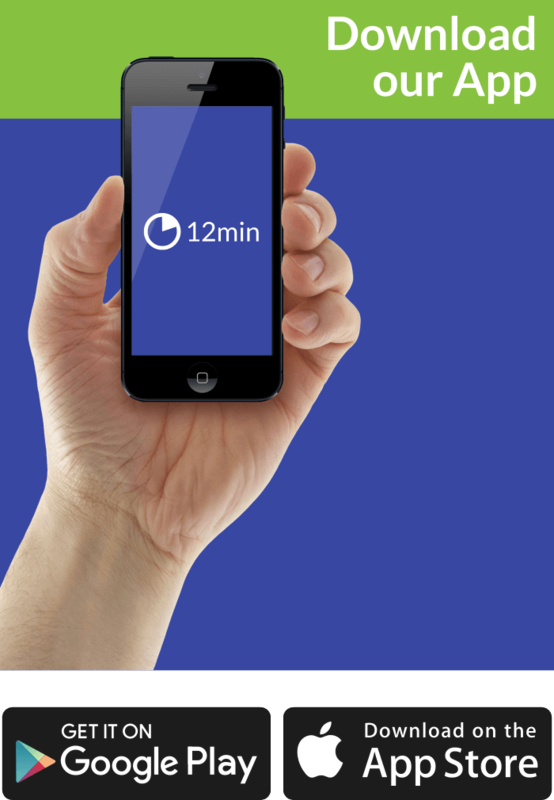 12min shows you how! How often do you consume wheat? The grain has a good reputation and is considered healthy by many. Unfortunately, this is not the reality as well as probably being the reason why you are getting sick or unhappy. Watch your breakfast – the toast and cereal you eat in the morning are made mostly from wheat. Wheat has been linked to many serious diseases and complicated health conditions such as diabetes, cardiovascular disease, kidney disease, leg edema, non-alcoholic liver disease, autoimmune problems and various cancers including colon, breast, Prostate and pancreatic. Are you surprised? There’s still more! Wheat consumption is also a known cause of autism, schizophrenia, Alzheimer’s, ADHD, dementia, and bipolarity. The reason may well be the consumption of wheat. Has your hair weakened or broken easily? Do you have dandruff? Do you have pimples or ulcers on your skin? If the answer is yes, the cause of it all is wheat. Wheat consumption may also be the reason why you have an irritated bladder, and you suffer from reflux, irritable bowel syndrome, asthma, arthritis, dry eyes, and migraines. On top of all that, wheat is addictive. Only a small group of foods, in addition to alcoholic beverages, can create a temporary state of well-being and wheat is one of them. It can change their behavior and cause withdrawal symptoms in people who try to live without it. Now you know where that will come from eating bread, pasta and other foods that contain wheat. Eliminating all forms of wheat from your diet will help you get rid of the problems that make you sick. You can do this by following three steps: First, remove all wheat products from your diet. Bread, pasta, pizza, cakes, biscuits, desserts, canned soups, and sauces ready, as well as wheat foods that are supposedly healthy. All should be completely removed from your kitchen and your diet. Then increase the portion size of healthy foods to offset the calorie deficit created by the elimination of wheat. In most people, removing wheat from the diet creates a deficit of 300 to 400 calories per day. To achieve optimal health and well-being, it is important that you compensate for this deficit with healthy foods such as fresh salads and vegetables, grains or lean meats. The idea is to increase the portions enough to cover 300 to 400 calories. And the third step is to eliminate food made from wheat ingredients like rye, barley and some types of oats. This may seem like a simple process of eliminating gluten, and you may be tempted to use gluten-free alternatives to these ingredients. However, you should know that the starch contained in gluten-free products mimics wheat gluten and activates the glucose response in the blood. Most gluten-free foods are made from rice starch, potato starch, tapioca starch or cornstarch, which cause an increase in your blood sugar level as well as wheat gluten causes. It causes an increased production of insulin, leading to weight gain, diabetes, learning disabilities, and other physical and mental problems. Start with the simplest – fresh fruits and vegetables. Vegetables can be consumed in unlimited amounts as long as you ensure that they will not be cooked in bad fats or oils. However, stay away from potatoes and canned vegetables of all kinds. Potatoes are rich in starch and activate the same response as gluten-free foods. Canned vegetables have many preservatives, especially Bisphenol A (BPA), which is unhealthy and has been associated with heart problems, endocrine disorders, cancer and inadequate neural development in fetuses. Fruits need to be chosen wisely. Choose less sweet fruits like oranges and apples. You can occasionally eat sweeter fruits such as mangoes and bananas as well. But be careful about the amount of fruit you eat. The fruit contains glucose and fructose, which can contribute to weight gain, diabetes, and other related problems. Two servings are allowed in a 24 hour period. Raw seeds and nuts are other types of good foods that can be consumed in unlimited quantities. You can include pumpkin, linseed, sunflower, chia, sesame seeds and other raw seeds in your diet. You can include raw nuts such as almond, pecan, hazelnut, cashew nuts, and pistachios. Healthy oils are also very good to avail in unlimited quantities. These should be herbal oils like coconut oil, olive oil, and avocado oil. Cocoa butter is also a good plant-based oil. Condiments that are not sweet, such as parsley and mustard, along with natural seasonings, may also be used. You can also eat as many meats and eggs as you like. However, ensure that the birds were raised with natural grass and not with feed. You should eat chicken and turkey of organic origin. Fish, pork and red meats can also be consumed in unlimited quantities as well as cheeses. Regarding drinks, you are free to drink water, tea and coffee, coconut water, coconut milk or almond milk and red wine. Avoid milk and sweeten your drinks with sugar. In addition to foods made from wheat, foods made from rice flour and potatoes should also not be ingested. Foods like pretzels and cereals should leave the menu, even if they are whole. It is a good idea to eliminate processed foods in general. Fast food, fried foods, and cured meats are included in this category of processed foods and should be avoided whenever possible. All those store-bought salad dressings – even those with low fat, trans fats, hydrogenated oils and fructose syrups – should also be removed from the diet. Dairy-free cheese and other related products can be consumed, as long as they are limited to one serving per day and consumed without sugar. Soy-based foods such as tofu and miso also fall into this category. You should not include the rice flour in your diet, but you can enjoy white or whole rice with beans, peas, and vegetables. Also, you can eat bitter chocolate without feeling guilty as long as it is consumed in moderation. Prefer chocolates with 70% cocoa or more and do not eat more than 40 grams per day. Troj is no longer what it used to be. The cereal grain, which is the largest source of gluten consumption, has been heavily altered in the last two decades. The modern wheat grain is actually a genetically modified hybrid of the original healthy whole grain. Dwarf-type hybrid wheat accounts for 99% of the wheat grown in the world today and these grains have never been tested on humans or animals. This wheat we eat today was designed by scientists to be more resistant to pests, fungi and different growing conditions, such as drought. That allowed for higher crop yields, but on the other hand, it also restructured the natural wheat protein, which is gluten. This restructuring is the main reason why wheat is no longer healthy. Modern wheat has become the most destructive food that is part of our day-to-day life. More than 5% of the proteins contained in hybrid wheat are unique. These proteins are not found in other grains and were created through genetic alteration, which makes wheat toxic and dangerous. Modern wheat is also a huge source of carbohydrates. Carbohydrates are converted to glucose, which enters the bloodstream and raises insulin levels. Insulin is the hormone that allows cells to absorb glucose from the blood and use it as an energy source. It controls your body’s fat reserve by regulating the conversion of glucose into fat. Do you want your body to accumulate less fat? Eat lesser amount of wheat. With reduced consumption of wheat, blood glucose levels decrease insulin production decreases, as well as the conversion and storage of fat. Also, the carbohydrates present in wheat cause more damage than those present in other foods like potatoes. Wheat starch has a structure called amylopectin-A, which converts this starch to sugar in the blood very effectively. What do you think causes the most damage regarding blood sugar level: whole grain bread or refined sugar? The correct answer, unfortunately, is whole wheat bread. Two slices will increase your blood sugar much more than two tablespoons of pure sugar. At worst, the increase will be the same, but care is never too much when we speak of wheat. Also, with a diet without wheat, you can get rid of pimples, wrinkles, flukes, belly, and distraction. The response of insulin, activated by the consumption of wheat, causes inflammation in the follicles of the skin, leading to the appearance of pimples and to premature aging. Wheat also causes an excess deposit of visceral fat. And gluten in wheat causes mental confusion and leaves you distracted. Saying “no” to wheat, you improve your concentration and your energy. As a result, their coordination and physical performance improve. You also decrease your aging process by eliminating the inflammation. Wheat products are the largest cause of increased rates of diabetes and obesity in the United States. But the harmful effects do not stop there. The insulin response, which is activated during the ingestion of wheat, increases the accumulation of fat in the visceral organs. Visceral fat deposits activate the body’s inflammatory response, which increases the risk of acute conditions such as high blood pressure, diabetes, arthritis, dementia, and colon cancer. Another reason why wheat is so bad to you is that its effect on the insulin response is almost permanent. Wheat takes your body to an endless cycle of increasing production, accumulation, and endurance. As mentioned before, wheat increases visceral fat. Fat prevents certain tissues and organs – especially your muscles and liver – from responding actively to insulin. This resistance activates the pancreas, the organ that produces insulin, further increasing the production of insulin. This excess insulin also increases the accumulation of fat in the visceral organs. This cycle continues, leading to various health complications and insulin resistance also leads to diabetes. Also, high levels of insulin cause the body to activate the signs of hunger and you end up eating more wheat. Wheat protein can cause your body to attack its own organs. It is one of the unique properties of wheat discussed. Whey protein allows indigestible components to flow into your bloodstream, leaving the intestine porous and facilitating the entry of particles into the blood. The result? Your blood identifies the components as foreign elements and attacks the healthy organs in an attempt to get rid of the components. Gluten in wheat is the main cause of celiac disease, which is also known as gluten-sensitive enteropathy. Gluten, a type of protein found in wheat and other grains, is another protein that activates the false antibody response. In people with celiac disease, the immune system forms antibodies against gluten, which attack the lining of the intestine, leading to inflammation. The villi, structures in the intestine, are damaged and can no longer absorb nutrients from food. That leads to malnutrition. Celiac disease also increases the risk of having other diseases. This includes osteoporosis, seizures, cancer, infertility, abortions among others. There is still more. 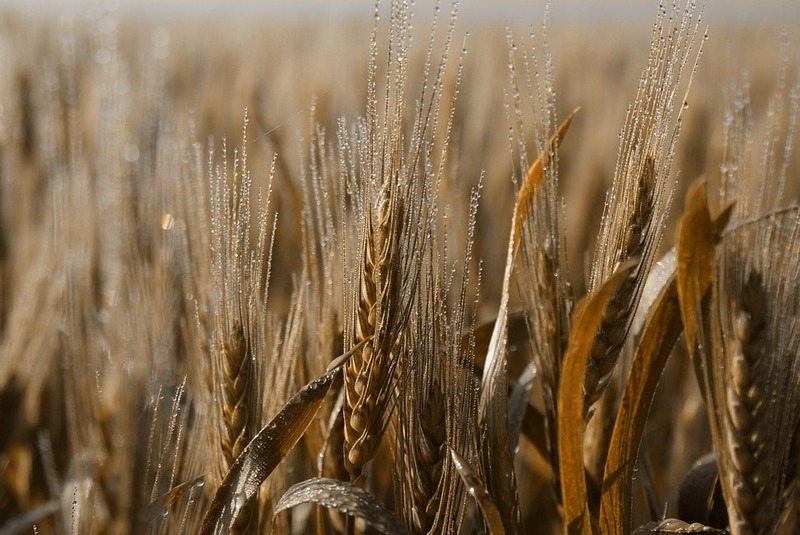 Wheat, planted as a grain, produces by-products that are acidic. They unbalance the pH of your body and reduce its longevity. Consider that this is a process of substitution rather than elimination. You will not eliminate the cereal from breakfast. You will only replace a bad cereal with a healthier choice. How about eating flax seed like cereal along with almond or coconut milk? No sugar, of course. Or how about a bowl of fruit with lactose-free milk? Common milk contains lactose, and it should be avoided by having too much-saturated fat. Saturated fat is directly associated with weight gain, diabetes, and heart problems. Also, milk with lactose is known to cause various digestive problems. About 75% of the population has some level of resistance to lactose. It aggravates irritable bowel syndrome and causes allergies. Then replace the lactose with a healthy, sugar-free milk. Also, you can use tricks to cheat your taste buds, such as adding healthy oils to your flaxseed cereal, to ensure that hunger does not bother you for a while. Healthy oils leave you satisfied if consumed cold. Then add olive oil to your eggs for breakfast after they are cooked. If you suspect that you are addicted to wheat and are worried about removing it completely from your diet, relax. It will not be as difficult as you think. To begin with, you can simply cut your wheat consumption by 50% at each meal. Do this for a week while also adding the consumption of healthy oils. When you have adjusted, reduce consumption further or try to cut it completely. You can leave the consumption of healthy oils as is and increase portions of healthy foods. You can also consume an unlimited number of nuts and seeds. And to satisfy your craving for wheat, you can make your own version of wheat-free foods. Such as the biscuits, coffee cake, brownies and what more do you want. Wheat is traditionally a staple food in the human diet. However, it has changed significantly in the last few decades, and people need to understand that it is a potentially fatal food choice these days. Wheat consumption increases blood glucose levels by activating a rapid response of insulin. High amounts of insulin causes an increase in the deposit of visceral fats, which generates inflammation. Inflammation causes cancer, diabetes, hypertension and other serious diseases, both physical and mental. Also, wheat consumption leads to addiction, mental confusion, intestinal lymphoma and other complications. Some of these can cause permanent damage and even death. Eliminating wheat protects you from these conditions above, and also, generates numerous other benefits, such as weight reduction, aging, increased energy and a better disposition. It can also lead to stronger bones and hair or healthier, pimple-free skin. If you can not eliminate wheat, reduce your intake gradually by introducing larger portions of healthy foods.